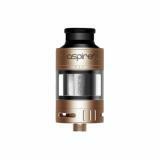 The Cleito 120 Pro Tank from Aspire is designed for dense flavor for vapor lovers. 4 colors for selection. The Cleito 120 Pro Tank from Aspire is designed for dense flavor for vapor lovers. It has 2ml and 3ml e-juice capacity for customers to choose from. Its detachable structure enables you to clean it easily and the adjustable bottom airflow with 3 air slots make sure that you'll have large clouds. 4 colors for selection. • This is an empty tank and you need to buy the e-juice separately. 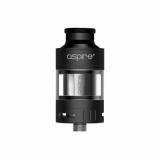 • Quick link: Aspire Cleito Pro Replacement Glass tube. Aspire Cleito 120 Pro Subohm Tank 3ml/2ml The Aspire Cleito 120 Pro is a new flavor chasing subohm tank with 3ml/2ml optional e-juice capacity. With the unique 0.15 mesh coil (pre-installed) and Cletio 120 Pro 0.16ohm Coil, the Aspire Cleito 120 Pro Tank canThe Cleito 120 Pro Tank from Aspire is designed for dense flavor for vapor lovers. It has 2ml and 3ml e-juice capacity for customers to choose from. Its detachable structure enables you to clean it easily and the adjustable. I've bought this Fertigcoiler tank as a replacement, if you do not want to wind up.Since I know the normal Cleito and the Cleito 120, this came as called. 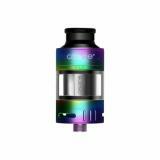 Especially since you can also use the Cleito and Cleito Exo coils here.The tankcame in the usual time of 3-4 weeks. Packging was all right no upsets or the like.Have him left as he waspre-assembled, say the 0.15Ohm mesh coil.Vaporizing easily, after moistening. At 70 watts on the Minikin V2 he goes for me well.The 2ml are down quickly, so do not come over a (working) day. The 4ml "Bulb" glass neither I test soon.